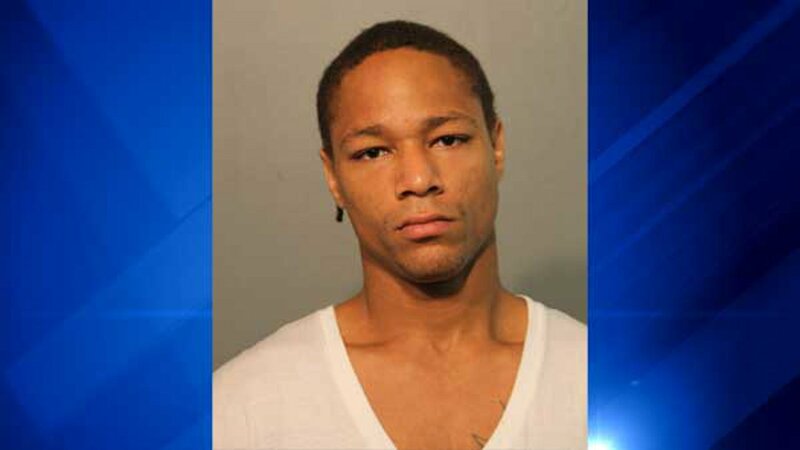 CHICAGO (WLS) -- A 23-year-old man was charged in the fatal shooting of a 17-year-old boy on Chicago's North Side. Gervase Pruett, of the 7600-block of North Bosworth Avenue, was charged with first-degree murder and aggravated battery of a peace officer. Police said he is the person who walked up to 17-year-old Antonio Mendoza outside a gas station in the 7500-block of North Sheridan Road around 2:40 a.m. on Sept. 12 and opened fire. Bullet casings show the incident started near the gas station, but then victim was chased down Howard Street, where he suffered gunshot wounds to the head and abdomen, at close range. Mendoza, of the 1500-block of West Sherwin Avenue, was rushed to Saint Francis Hospital in north suburban Evanston, where he was pronounced dead at 3:16 a.m., the Cook County Medical Examiner's Office said. Pruett was taken into custody Thursday, police said. He was ordered held without bond for the first-degree murder charge, according to Cook County sheriff's office spokeswoman Sophia Ansari. Pruett is also being held in lieu of a $50,000 bond on the charge of aggravated battery of a peace officer.